London street artist Donk is no stranger to the streets of London, the artist's works have been part of East London street art landscape for many years now from the small-scale wheat-pasted posters to the epic one-off large-scale pieces such as his Higher Ground' piece in Hackney Wick. 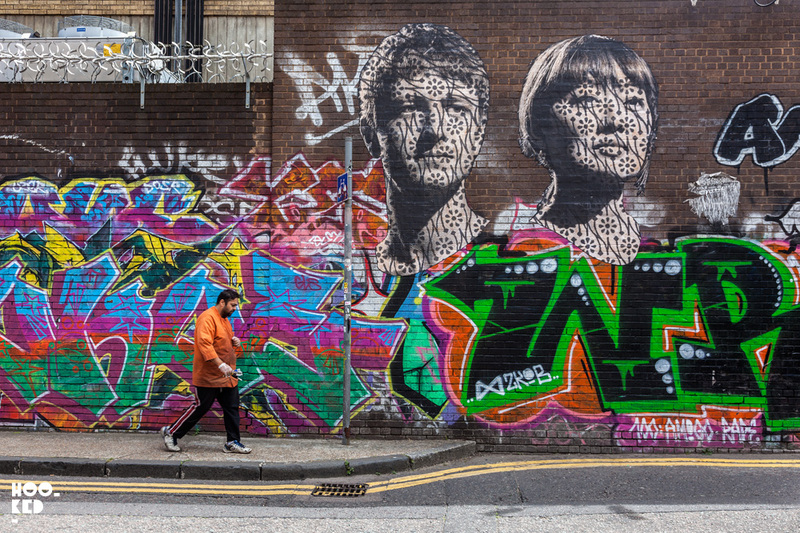 Combining his love of photography and screen printed, the artist's hand-printed photographic artworks can be seen around Shoreditch, Camden, Soho and Brick Lane. 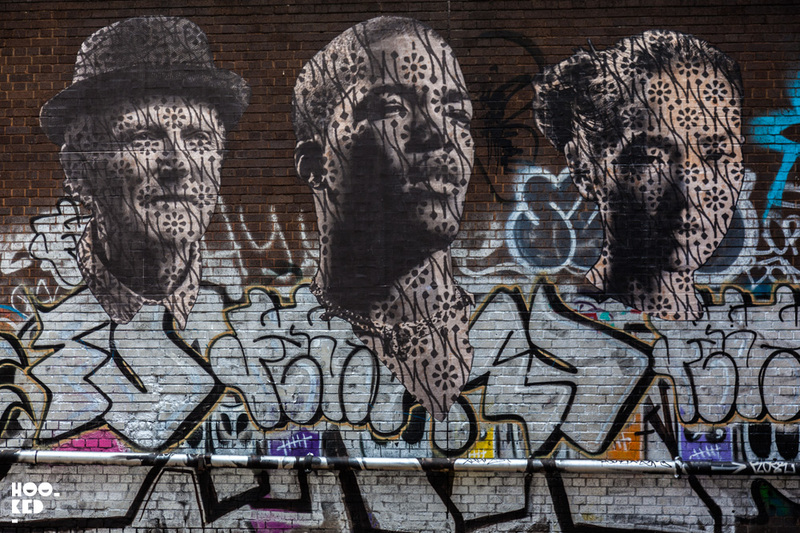 For his most recent installation, Donk has supersized a series of street portraits he photographed around Brick Lane earlier in the year, scaling tight crops of their faces up in size and wheat pasting printed posters of them back up onto a wall close to Brick Lane. 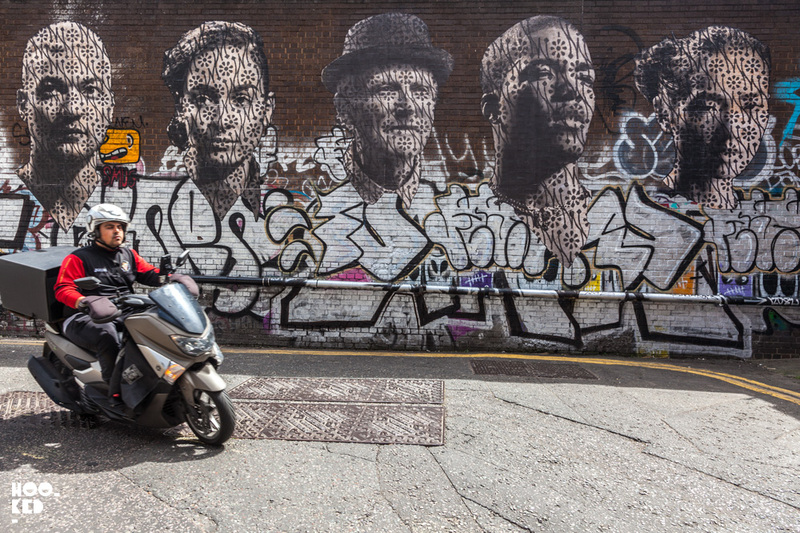 The new series of photographic portraits have been pasted to the same wall as one of the artists other portrait pieces, his Rudeboy black and white portrait installed back in 2016 and still running. The entire series of new portrait works can be seen Grey Eagle Street. 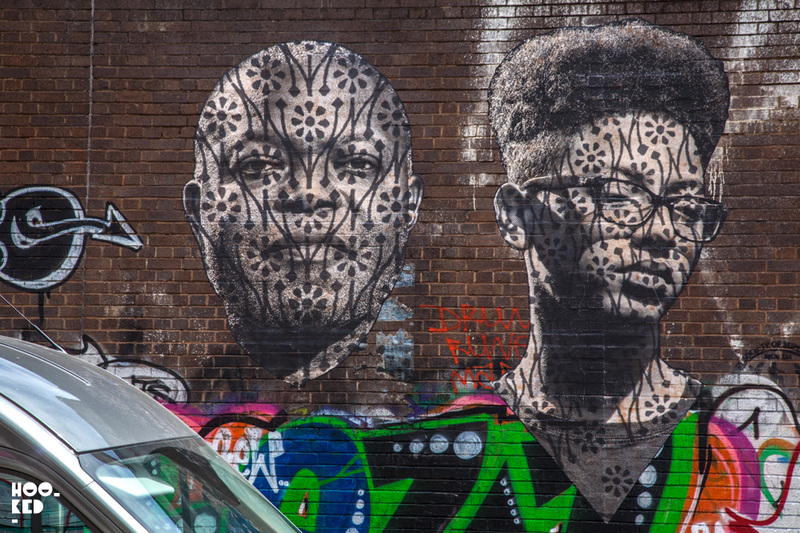 Two more additional paste-up portraits by artist Donk further down Grey Eagle Street in East London. Pictured center is the first portrait installed by Donk back in 2016, now joined by two new additions. The center portrait piece was titled "Rudeboy" and was Donk's tribute to the spirit of the rudeboy and the rebellious swagger of youth!